Typically, when you start the school year, you don’t know your students very well. During those first few weeks, you get somewhat of an idea of who your students are, especially students who have behavior challenges. At that point in time, you contact the parent of the student who is not meeting expectations, set up a meeting, and your first interaction with that parent is for negative reasons. Then, you’ve started the year on a less than positive note, which tends to set the tone for the entire year. This can be very problematic because, as educators, parents need to be our allies. We MUST work together as partners, to help our students be successful. So, instead of having the scenario above happen to you, I highly recommend starting your year on a positive note by doing home visits. You may be thinking, “What the heck is a home visit?” A home visit is where you as the teacher go over to a student’s home before the school year starts to get to know them and their family. As you’re reading this, you may think I’m crazy, but hear me out. I have done home visits the last three years and have had a significantly easier first day and year because of it. I have built positive relationships right off the bat, which we know is key to getting parents and students to buy in. If you’re still reading this, which I hope you are, let me tell you all the things I’ve learned over the past few years with home visits. I will say though, I’m not an expert on this. I am sure there are far wiser people than me who may tell you I’ve been doing things wrong. With that being said, we are all different and have to do what works best for us. I start out by creating a schedule of a week or two weeks when I will start my home visits. Now, I do home visits from about 10 a.m. to 8 p.m. I also don’t have kids and can do that. I cannot reiterate the fact that you must do what works best for you. I also do not have back to back home visits during that time. I just want to accommodate those parents who work or prefer that both parents are at the home visit. I schedule my blocks on my schedule in 30-minute increments. I attempt to stay at a home for 15-20 minutes, but I do love to talk, so I must really be careful. If you think you’ll need more time, schedule more time. It also depends on how far apart the homes in your boundaries are. So, keep that in mind. Next, I make myself a sheet that lists the student, the parent’s names (you don’t want to call a parent by Mrs. Smith, when her name is actually Mrs. Downey, don’t ask me how I know that), their address, phone number(s), a spot to mark if they answered, if you left a message and need to call back, and a spot for notes. I then call every parent and make an appointment for a home visit with them. My colleagues have said that I’m insane for doing it this way and should have used Sign Up Genius to save time. Again, you must do what’s best for you. I just like to call beforehand. When I call the parents, I say something like, “Hi, this is Brynn Westwood from _____________ Elementary. I am so excited to have so and so in my class this year. Before school starts, I’d like to come meet with you and so and so to get to know you better before the upcoming year. Would that be okay with you?” I then set up the day and time. Also, make sure you specify what school you are calling from. I had one year when I didn’t. I showed up at a house I thought was my student’s. No one answered the door. I finally called the parent. She said they had moved and thought I was the teacher from the new school and they were waiting for me. I felt pretty silly and was grateful the person whose house I was at didn’t answer. Once all my home visits are set up, I create a little treat and label for my students. I’ve done suckers and written something like “Thanks for letting me POP in.” This year, I went to a local popcorn shop and bought a variety of flavors of popcorn and made a similar tag. I like to leave my students with a treat. I want them to be excited about school and about my visit. On the day of the home visit, I make sure to dress my best. This is the parent’s and student’s first impression of me, so I put on a dressy outfit. I make sure I arrive right on time (call ahead if you’re going to be late for any reason). After shaking the parent’s and student’s hands and introducing myself, I immediately ask if they’d like me to take off my shoes. I then look for something to compliment in their home. I ask the students about their summer, what they like to do, and other questions that help me get to know them. I also ask the parent(s) if they have any questions for me or if there’s anything they’d like me to know going into the school year. I conclude my visit by giving the student a treat and then head to my next visit. Again, you must keep track of your time, so you may want to keep your watch or phone handy. Now, I will admit, not all parents call me back. I usually call twice, and then let it go. I don’t want to show up at someone’s home and offend them because this is something that’s meant to be fun and positive. I’ve had many questions about home visits, so I want to answer those next. I do not get paid to do home visits. This is something I do on my own time. I am also not required to do them. It is something I’ve been doing, and other teachers at my school started this year too. Not everyone does it, it’s something I’ve had success with and will continue to do. I’ve had people ask about safety (mainly my husband, actually). I would recommend giving a copy of your home visit schedule to your principal or secretary. This way, if something happened to you, they’d know who to check with. I’ve only had one experience where I wished I’d taken someone with me, but other than that, everything has been great. I’ve also been asked what I do if the home isn’t clean. People, as I said this earlier, this is meant to be something positive. Who cares if a home isn’t clean. Let’s be real, my house during the school year is a complete disaster! I was asked what parents think of the home visits. Parents LOVE the idea of getting to sit down one on one with their child’s teacher. This RARELY happens except for negative reasons or for a brief time during parent teacher conferences. At my school, we hold back to school night. I do not use my home visits as a time to explain the same information I share at back to school night. It is more for building relationships, not for sharing rules, expectations, and procedures, although I am always happy to answer anything during home visits. The students also love it. Especially the students who have anxiety about coming to school. On a home visit this year, I had a student set out cookies, fruit, homemade lemonade, and a sign that said “Welcome Mrs. Westwood!” It was AWESOME! Home visits start the year out right and seriously make a difference. If you’re thinking of starting home visits, do it! If you have any questions, please let me know, and I’ll help you in any way I can! This is about the time of year when we have our second round of Parent-Teacher Conferences. During those conferences, I usually hear that parents aren't concerned about their child's academic needs, but their social needs. When I first heard this, I wasn't quite sure how to meet this need. So, I went and collaborated with my colleagues. One colleague told me to try something she had heard about from another teacher called "Mix it Up Monday." Every Monday, she gave each of her student an assigned friend that they would eat lunch with, play at recess with, and do other activities throughout the day with. This gave the students an opportunity to make a new friend and meet someone new that they may not have chosen to play with on their own. This also eliminated the problem of anyone not having a friend to play with. My friend who told me about this idea, is very organized and has written up a schedule of who is playing with who each Monday. In my class, I am not as organized, so I use Class Dojo's random chooser and assign friends each Monday. Either way, it works! Now, sometimes we don't have school on Monday, so my kiddos beg to have "Mix it Up Monday," another day. So, we've had "Twist it Up Tuesday," "Whirl it Around Wednesday," you get the idea! My kiddos really enjoy playing with someone different and getting to know someone new. Now, I will warn you, that at first, my kids would complain about who their friend was. We had to have a discussion that this is hurtful. I tell my kids that we are all friends and we will treat each other as such. Since then, no complaints! At least not any that were verbalized. Try it in your classroom if you've experienced this problem, because since implementing it, I haven't had a single complaint about a student lacking friends. Do you ever feel like its a real struggle to differentiate sight word practice for your kiddos this time of year? About this time, every year, I am reminded that some students need additional sight word practice, others just need a review of some sight words, and a few (hopefully more than a few) have mastered all the sight words. So, how do I create a way for every student to get the practice they need? Well, with the help of my fellow first grade teachers, we have come up with ideas and ways to create meaningful, engaging sight word practice for every one of our kiddos. We do this with what we call "Reading Groups." Our "Reading Groups" are basically a 45 minute time period set aside each day, to meet the reading needs of ALL our students. 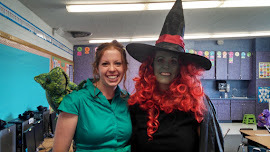 There are three of us that teach first grade at my school. We each take a level of readers based on the data that was collected at the beginning of the year. During this time, our students work on a variety of reading skills, one of those being sight words. During our "Reading Groups," I get to work with those who need additional teaching of sight words. 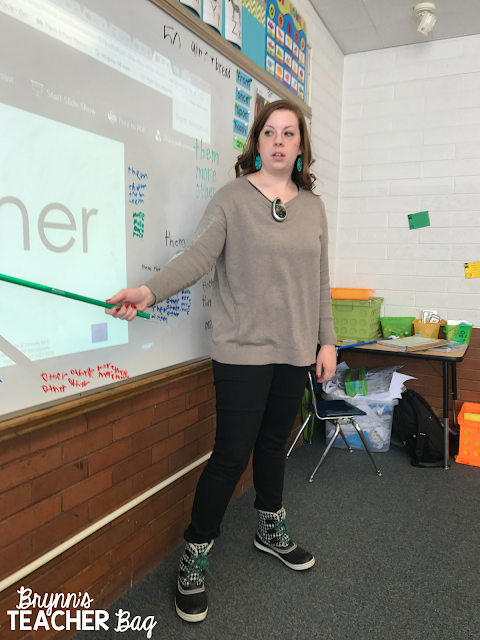 I begin by introducing the word, iterating that the word is very important because knowing the word will help the student become a "better" reader. (This gives the students a purpose behind learning the words.) I then spell the word for the students and we spell the word together. Then, I put the word up on the board and have all my students stand up. (This is where I'm incorporating various learning styles!) We then spell the word with our bodies (For letters that touch the top line, we pretend to shoot a basket, for letters that touch the mid-line, we put our hands on our hips, and for those letters that have descenders, we touch our toes). We then write the word in the air. Then, I give each student a dry erase marker and have them write the word on the board a single time. (According to our OT this is excellent for handwriting practice.) Then, the students read the word they wrote and spell the word out loud another time. The students then write the word three more times. The last step with this is, I have the students take a seat, close their eyes, tell what word they wrote, and spell it out loud. We usually do about three new or review words a day. When I feel that my students have mastered the sight words, or just need a brush up on a few words, I will do this same routine with them, but add in another piece. I will have the students begin finding the words in context as well as using the words in context. This way, they aren't strictly seeing a sight word, but they are making a connection to how it is used. When I do this, the students have a list of specific words they are looking for. They can use tally marks to count how many times the word is seen. The students will also take the words that we have worked on and create what I call "Seven Up Sentences" (sentences with seven words or more) using the word. This way to students learn how to use the words correctly and begin to realize they aren't just single words that we learn. Now, for those students who have mastered all the sight words, I want them to continue to read the sight words, but in context, while building fluency and comprehension. So, we do this through passages that correlate with the sight words we have been teaching. The students read the passage, look for a designated set of sight words, and also answer comprehension questions about the passage they've read. 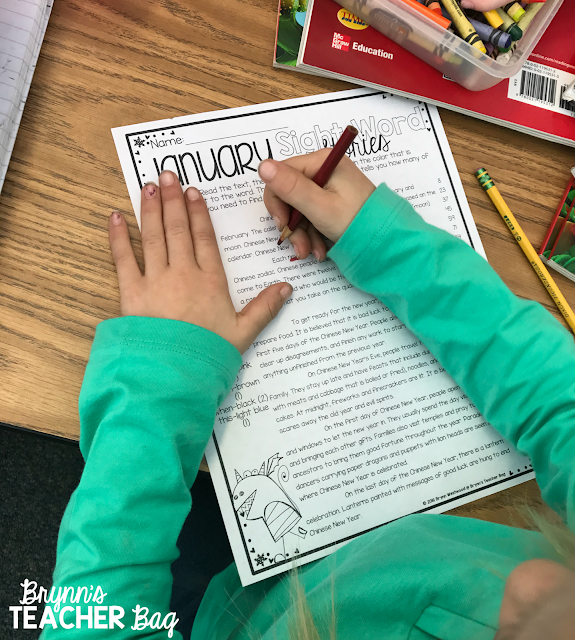 This can be done with any passage, but if you're interested, I've written specific passages that we use just for this called "Sight Word Stories." After doing our reading groups for a few years now, we have found amazing success having our students practice sight words this way. 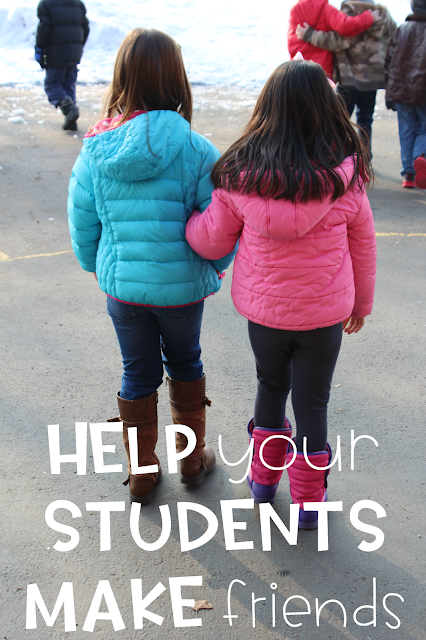 How do you help your students learn those all important sight words? This summer I read many blog posts and articles on the benefits of flexible seating in the classroom. I'm a worrier, so I was a bit worried how my firsties would handle this change of seating. I may have had a few nightmares of having to call 911 because a student fell off a wiggle stool or rolled off a stability ball. Despite my worst fears, I knew this would benefit my students. I looked into the cost of everything I wanted to acquire for my classroom and decided I needed to do it in stages. Our PTA kindly gave us $100 and I was blessed to receive donations through Donor's Choose to help start our flexible seating journey. 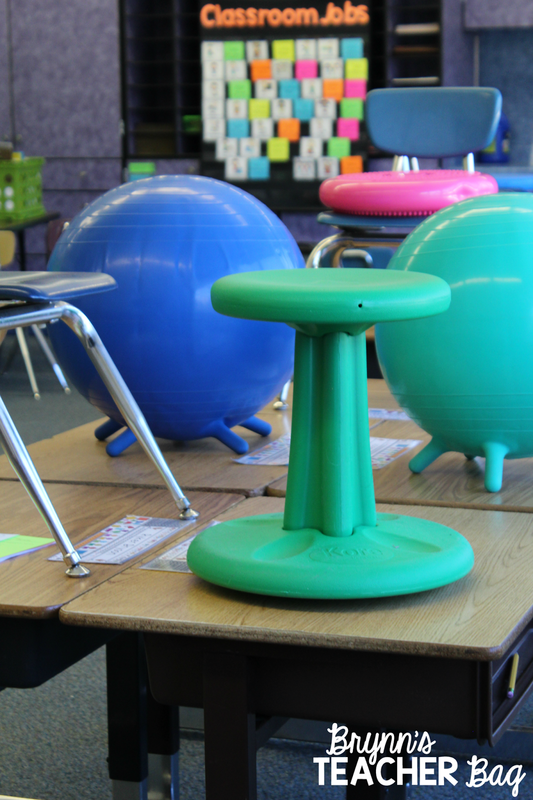 With these funds, I was able to purchase 4 stability balls, a stability disc, and 6 wiggle stools. I already had 4 bean bags, so that was a plus. 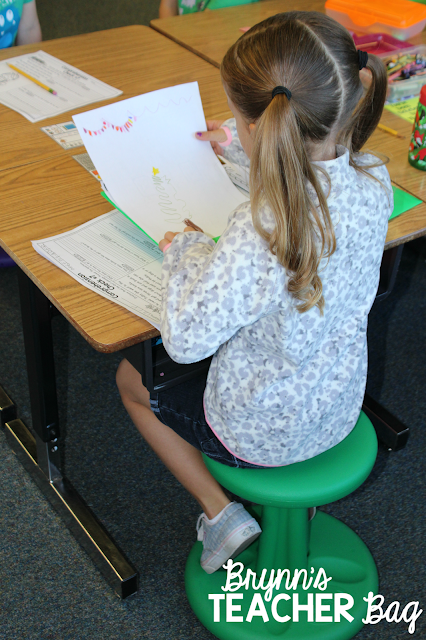 Before letting my students start to choose their own seats, I went back and re-read the rules Kayla Delzer and Angie Olsen implemented with their flexible seating. This helped me come up with my own guidelines. I went over the expectations with my students as the items started to arrive. I modeled how not to treat our new seating, and reminded the students that I could change their seats at any time. We have been in school for about two and a half weeks now, and I am happy to report that none of my fears have come true. I do want to share with you the benefits that I have seen thus far. 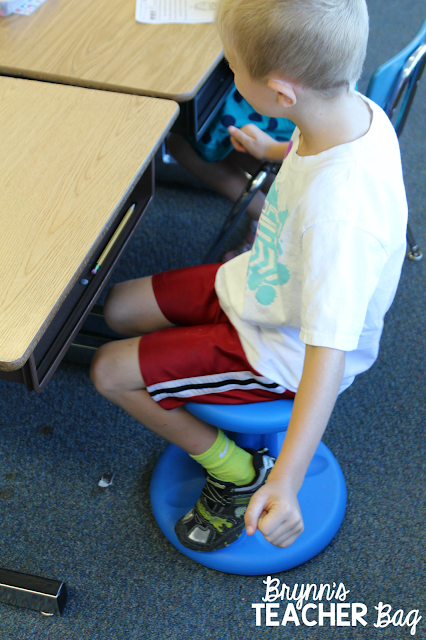 The day we got the first wiggle stool, I let a student try it out who was really struggling to focus and get his work finished. I was amazed, and still am, that he got his work done in the allotted time and I didn't have to prompt him once to get working. I've seen this with many of my other students as well. I love how excited my kids are about these new options and that I trust them to pick where they will do their best work. I am seeing better focus from all my students who are choosing to use the new seating. I am also seeing students who are excited to come to school, try something new, and be a part of something that will benefit their learning. I am in the process of writing another Donor's Choose grant to implement more flexible seating. At this point, we don't have tables, standing desks, and a few other things that I have my heart set on implementing this year. Wish me luck! I will continue to update you on the benefits I see through this change. Do you have flexible seating in your classroom? Anything you can't live without? I'd love to hear from you! There are some tools I use in my classroom that I know need to be top notch. I am usually willing to put out serious cash (just don't tell my husband) if it means that this particular thing will last all year and withstand the "caring" hands of my first graders. A pencil sharpener is one of those tools. We all use it daily and so do our students, depending on the rules in your classroom. I usually go through at least one pencil sharpener a year because the motor burns out or some mystery person sticks something in the sharpener that shouldn't be there. I'm happy to report that I have found a sharpener that works fantastically and lasts longer than JUST one year. AND it doesn't even require the serious cash I'm used to paying for an electric pencil sharpener. 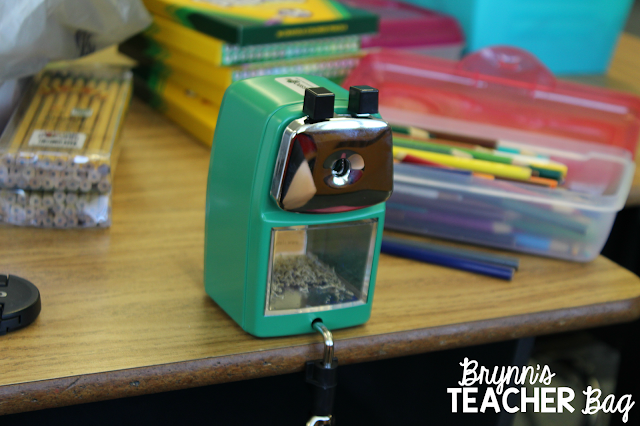 This sharpener is made by Classroom Friendly Supplies. It comes in a variety of colors that are sure to match your classroom decor and is under $20. I'm telling you it's worth every penny! I now own two and even take one to church with me to use in my church class. I love that you can control how sharp the pencil gets. (My church class may have had a competition to see who could have the sharpest pencil.) It is light weight, easy for kids to use, and quite simple to clean out. I've also found that there are informative videos on Classroom Friendly Supplies that help you remove a pencil lead step by step. They've seriously thought of everything.